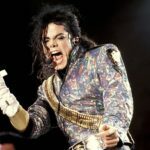 The new documentary “Leaving Neverland” brings the story of 2 men who claim that Michael Jackson molested them when they were children. Following the Sundance screening the the documentary many people took to Twitter to share their take on the story. As expected Micheal Jackson fans supported the star, who died in 2009, claiming the new movie was just another try to destroy his legacy, while others voiced their support in the victims.